Melon is one of the most popular as well as healthiest fruits in the world. It is rich in nutrition which includes vitamin A, vitamin C, niacin, and potassium. The family of melon, namely Cucurbitaceae, comes in numerous types and varieties that differ in size, color, and taste. Some of them even fall within the category of vegetables instead of fruits. Here you can find various types of melons that are spread and cultivated across the globe. Autumn sweet is a perfectly rounded fruit with smooth yellow skin and white flesh. This melon variety is known for having watery texture and sweet, tender taste. A whole round of autumn sweet can weigh up to 1.3 kilograms. 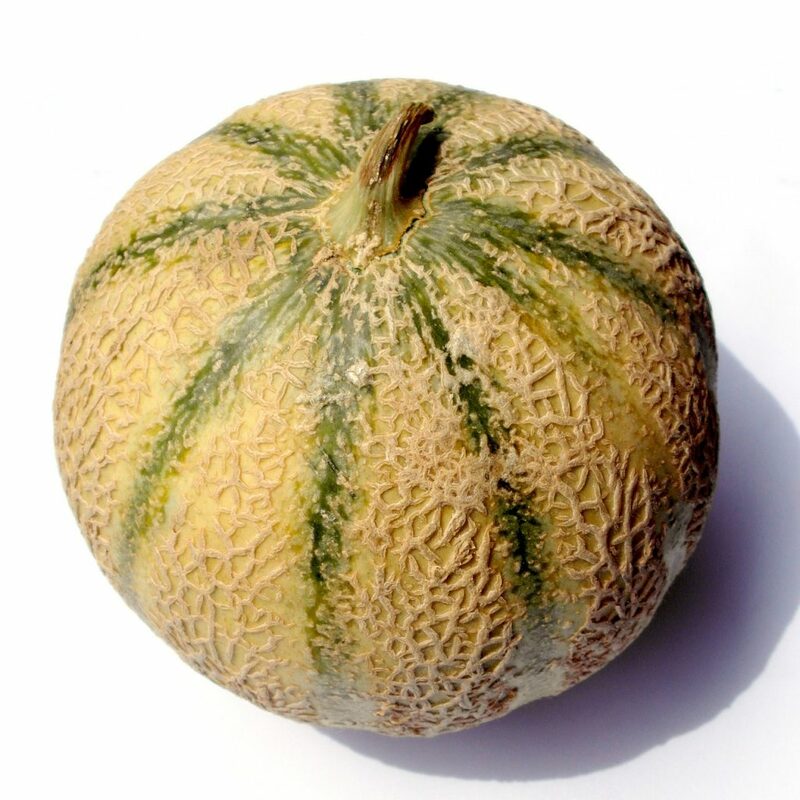 Both the skin and flesh of Bailan melon are light green, but its flesh may turn into yellowish shade once it matures. This variety is widely grown in China, particularly in the capital city of Gansu province, Lanzhou. Bitter melon or bitter gourd is largely cultivated in some tropical regions, including Asia, Africa, and the Caribbean. As the name suggests, this melon variety has a bitter taste. Nevertheless, bitter melon is still edible and often cooked in a vegetable stir-fry. Canary melon is named after canary bird because its skin resembles the color of the bird feather. 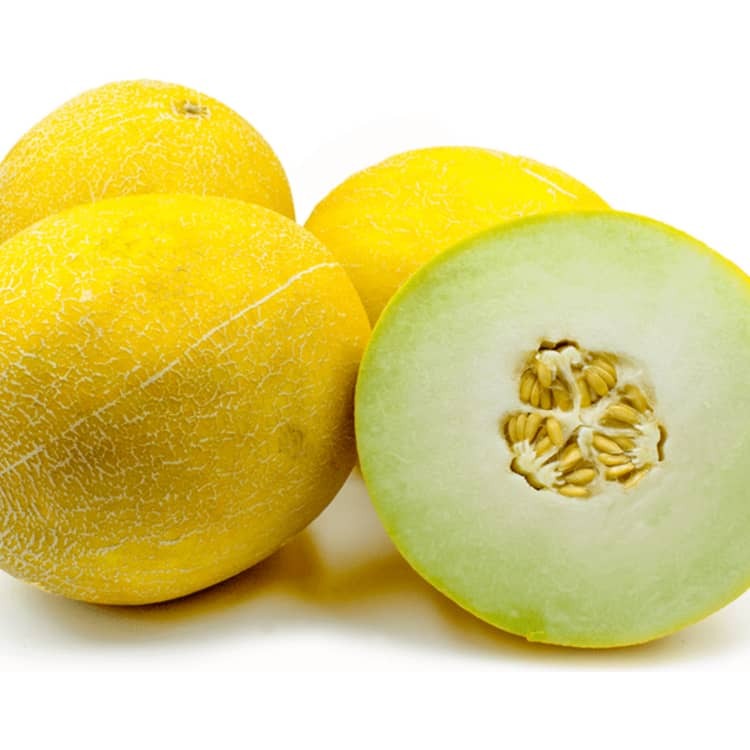 This yellow melon has a thin rounded shape with white or pale green flesh. It has a similar taste like cantaloupe and often eaten as snacks. 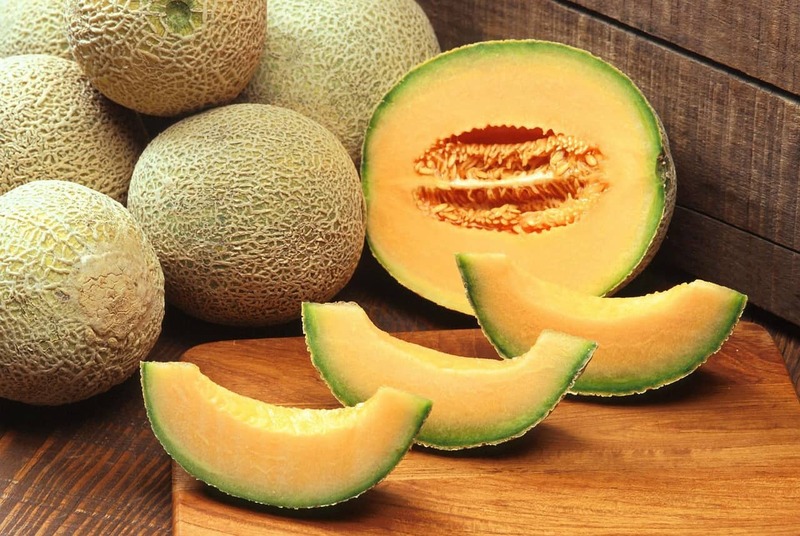 Cantaloupe green or sweet melon is firstly cultivated in Persia and South Africa. However, this fruit is quite common and popular in the United States and some other regions as well. 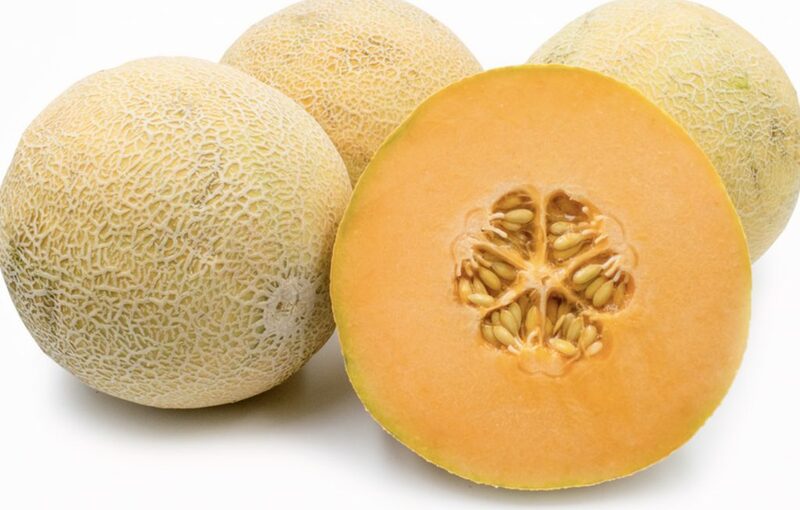 Cantaloupe is usually used in a fruit salad or mixed into delicious desserts with ice cream. Charentais is a variety of cantaloupe, but it produces a more strong and fragrant smell. This fruit was firstly developed in France during the early nineteenth century. 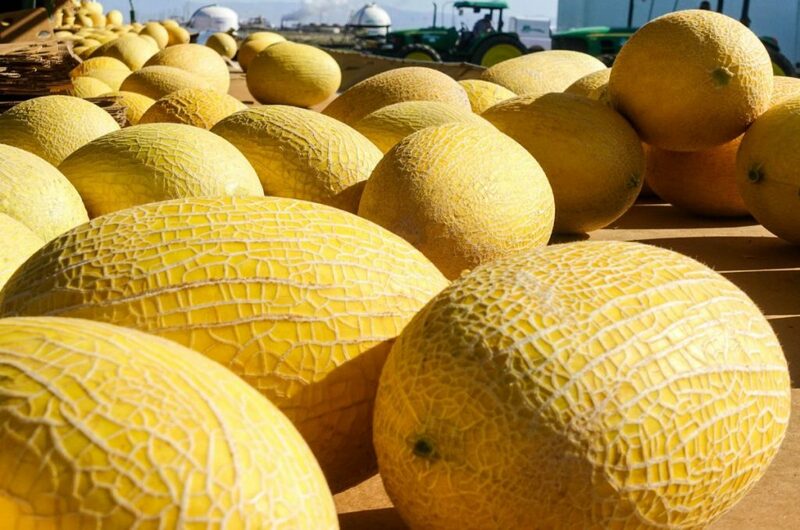 In later times, it is also cultivated in South Africa and becomes one of the most favorite melon varieties in the country. This fruit is a hybrid cultivar of muskmelon. Just like its main variety, Crenshaw Melon has a musky aroma and juicy flesh. Its bright orange flesh is delightfully sweet. Because of this, many people often include Crenshaw in fruit salads. Popular as a cylindrical vegetable, cucumber has a mild melon taste with a bit of bitterness. Its plant is a creeping vine that bears fruits during particular seasons. 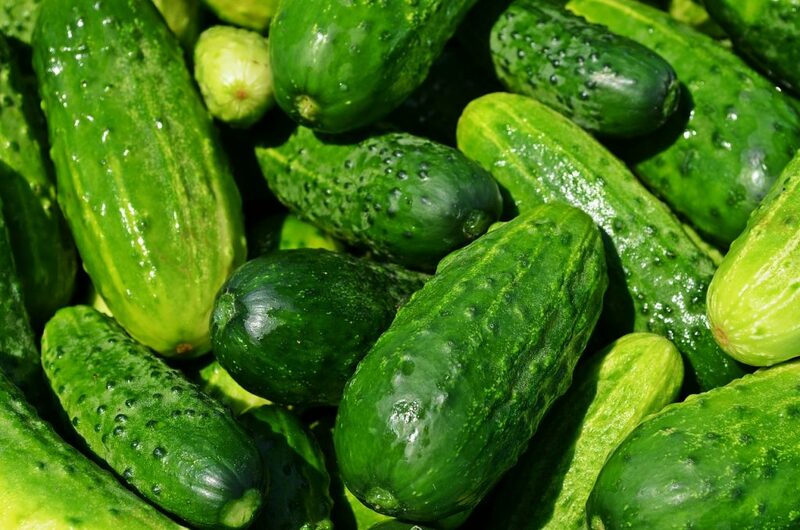 There are some different ways to consume cucumbers; they can be eaten raw in a salad or fermented into pickles. Gac is a variety of Southeast Asian melons, primarily cultivated in Vietnam. In its origin country, gac seeds are often cooked with rice as a main dish. Its flesh and seeds are rich in nutrients. However, because of the short harvest season, this fruit is quite rare to find. 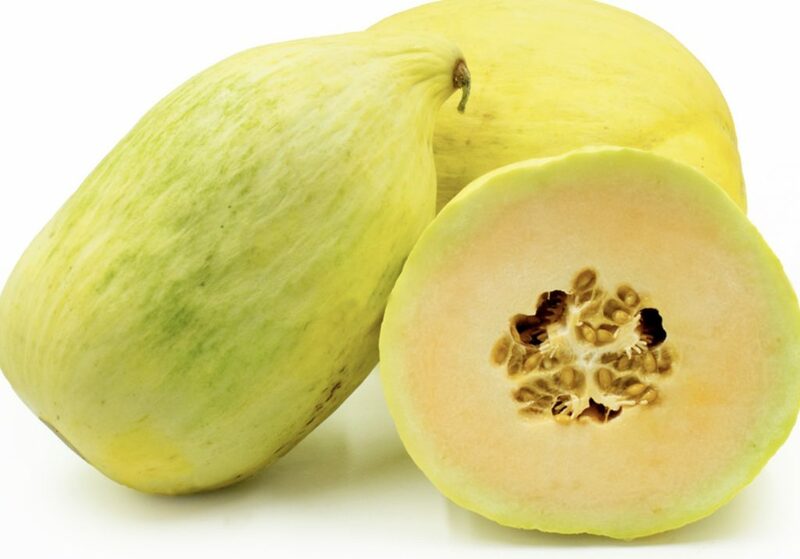 Galia is a hybrid variety of melon fruit that has an aromatic flavor and sweet flesh. The first cultivar of Galia is developed in Israel. It later spreads to some other countries in the continents of Asia and Europe, including Turkey, Pakistan, and Spain. In Southeast Asia, Galia is more popularly known as Sarda. 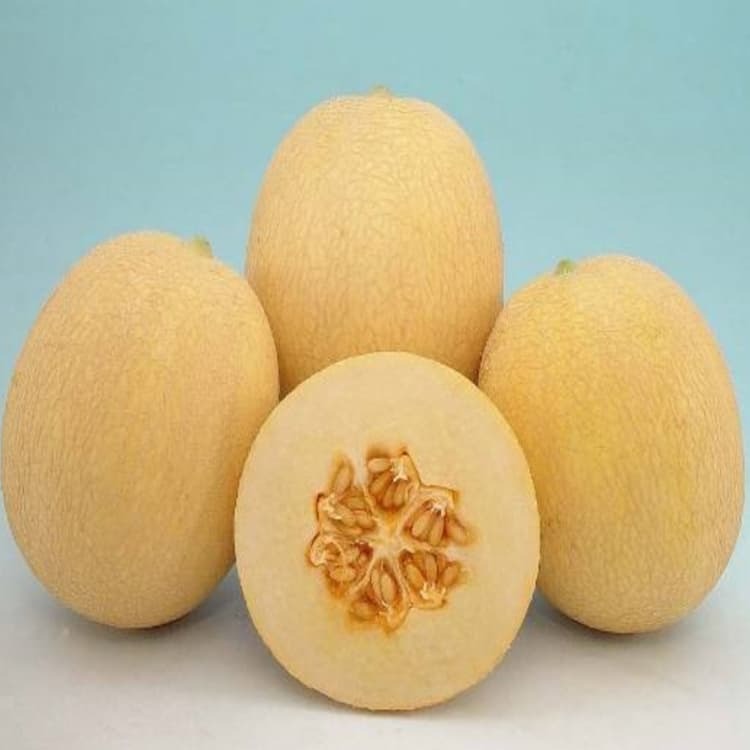 Hami melon derives its name from its origin region, Hami, which is located in Xinjiang, China. This variety is also known as snow melon or white melon because its skin is mostly white with yellowish or greenish shade. The fruit has crispy sweet flesh that is considered good for snacks. Honey Globe belongs to the superior types of melons. Both skin and flesh of this fruit are light green. The skin is hard and thick while the flesh has a sugary and tender taste. However, this variety has a short harvesting season which makes it quite rare. Honeydew melons are popular as desserts. Its sweet flesh comes in light green. Meanwhile, the smooth skin has a pale green color that will turn into yellowish green when it is ripe. The fruit’s weight usually ranges between 1.8 to 3.6 kilograms. Horned melon, also known as Kiwano or hedged gourd, has a similar texture and taste like cucumber. However, as the name infers, the main characteristic of this variety is its horn-like skin. The spiky skin comes in yellowish orange color, while the color of the flesh is light green. Kantola goes by several other names such as thumba and spiny gourd. Its skin is in dark green and filled with small spikes all over it. 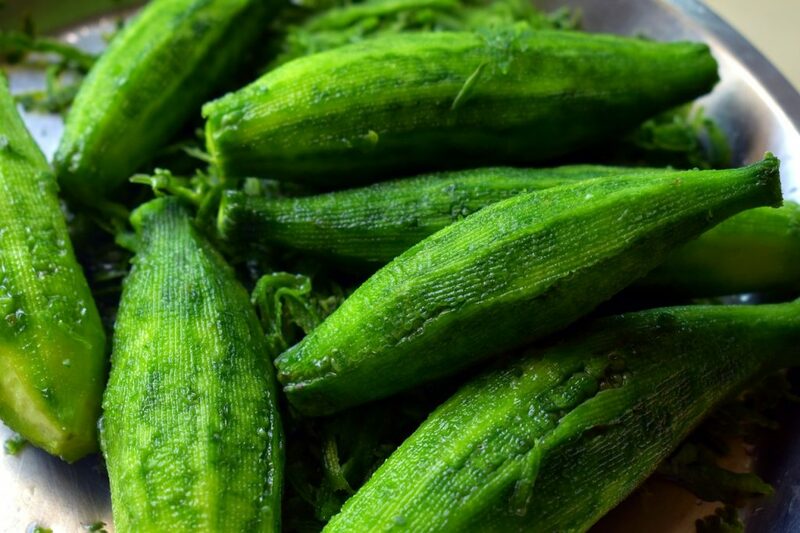 Eaten as a vegetable, Kantola is widely cultivated in India and some other countries in South Asia. 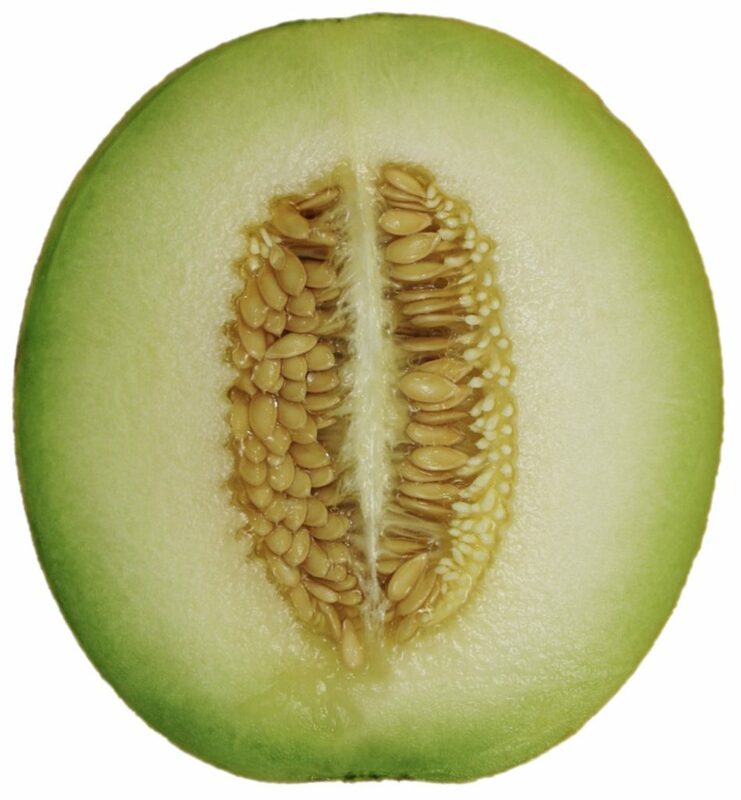 Korean melon can only reach up to 10 centimeters long while its weight is less than one kilogram. Those characteristics become the main reason why this fruit is categorized into small melon variety. Despite its small size, Korean melon has a sweet and juicy flavor that everyone enjoys. Sprite Melon is firstly cultivated in Japan. 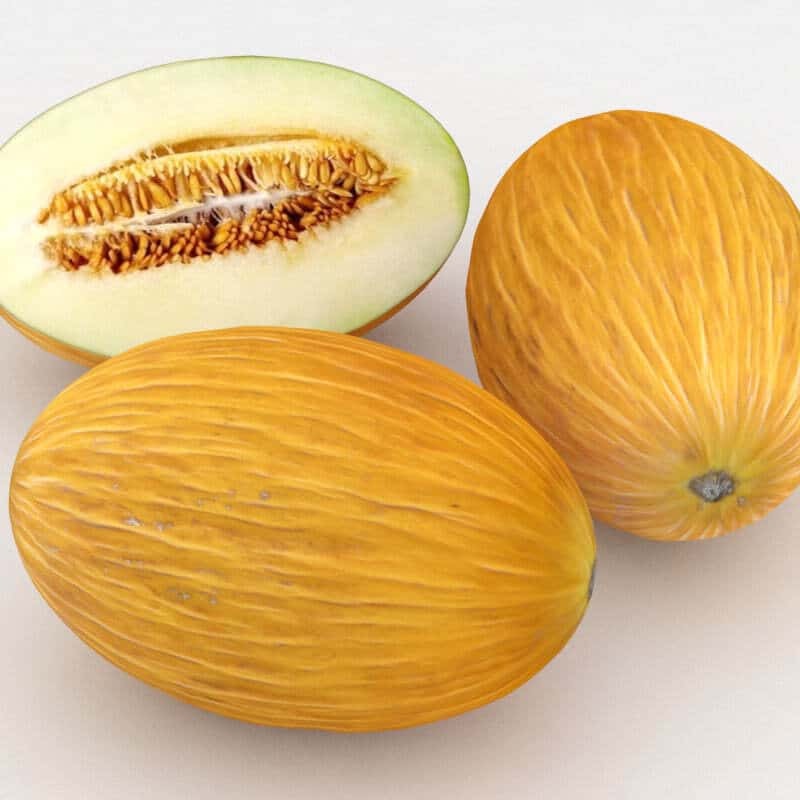 Its characteristics bear striking similarities to Honeydew, but with more rounded shape and paler flesh color. Many people prefer this melon variety for desserts because its taste is sweeter and juicier. This melon variety has sweet and tasty flesh, just like sugar. The color of the flesh is bright orange, so it is usually called orange melon as well. A regular weight of sugar melon ranges between 1-2 kilograms, making it the member of the melon family with the medium size. Originated from southern Africa, watermelon is considered the most popular types of melons. This fruit is identified by the thick, striped skin in dark and light green. Watermelon flesh has a sweet and juicy taste that is often savored during warm seasons. Winter melon bears a close resemblance to cucumber; both of them are eaten as vegetables and have green skin. 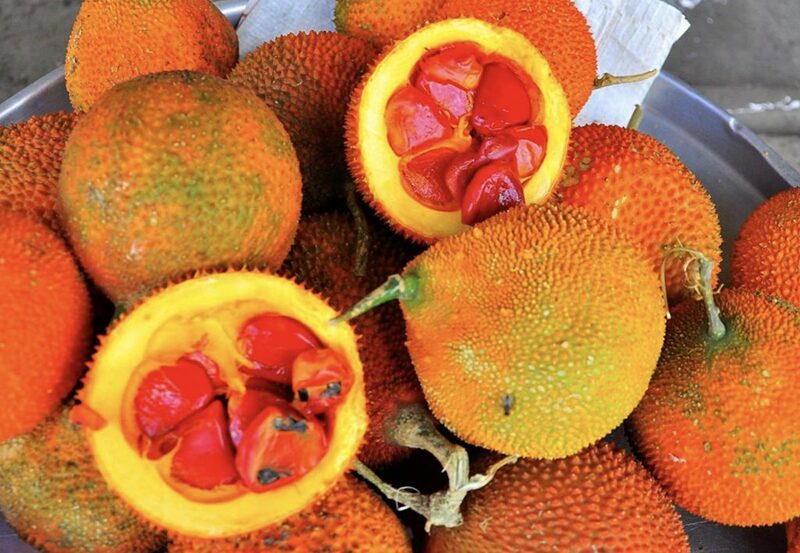 The fruit is native to Southeast Asia but also cultivated in the eastern and southern part of the continent. In China, winter melon is usually consumed during cold weather. That concludes the types of melons that you can find around the world. Among those varieties, you may have tasted some of the most popular ones such as cantaloupe, honeydew, and watermelon. Now that you know about different varieties of melon, you can try to find and taste some more!